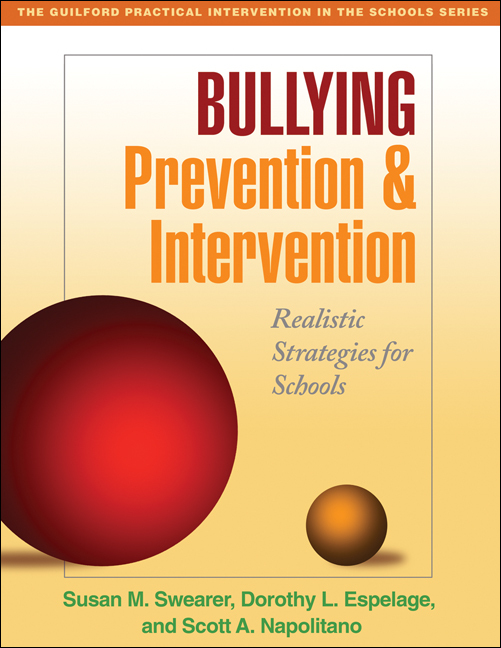 Grounded in research and extensive experience in schools, this engaging book describes practical ways to combat bullying at the school, class, and individual levels. Step-by-step strategies are presented for developing school- and districtwide policies, coordinating team-based prevention efforts, and implementing targeted interventions with students at risk. Special topics include how to involve teachers, parents, and peers in making schools safer; ways to address the root causes of bullying and victimization; the growing problem of online or cyberbullying; and approaches to evaluating intervention effectiveness. In a large-size format with convenient lay-flat binding, the book features helpful reproducibles, concrete examples, and questions for reflection and discussion.